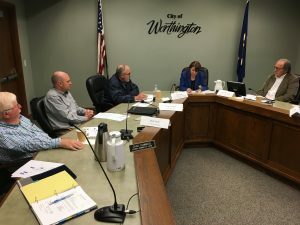 Senator Amy Klobuchar held a roundtable meeting on April 30 in Worthington with Lewis & Clark and City officials to discuss federal funding levels for the project and the anticipated timeline for Worthington to be connected to Lewis & Clark. She also toured construction underway on the Worthington meter building. Klobuchar reiterated her strong support for the project and the many positive economic development impacts it will have on the community and southwest Minnesota. 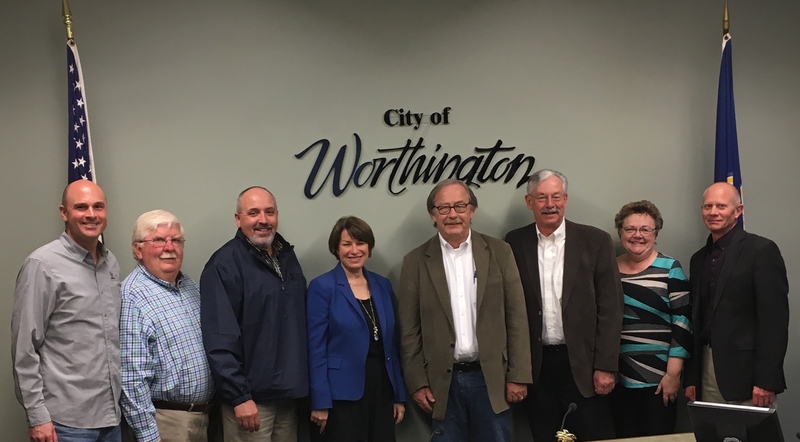 Worthington and Lewis & Clark officials thanked Klobuchar for her past and continued efforts to move the project forward.